This guide assumes you have already familiarized with the Distribution Manager basics. 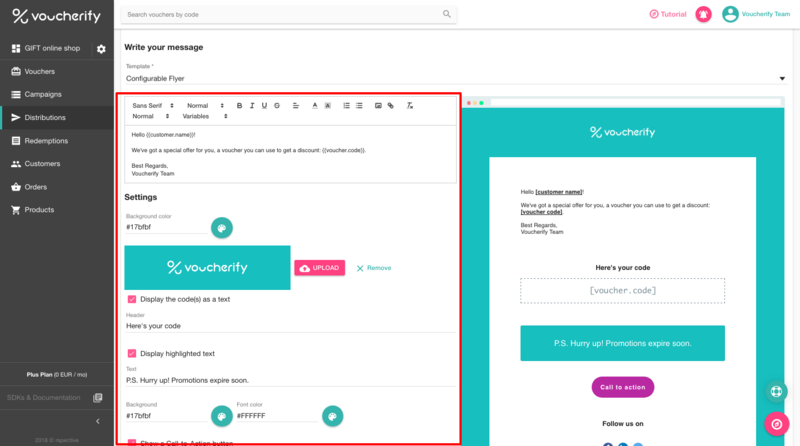 Let’s start to distribute emails straight from Voucherify with a manual message. 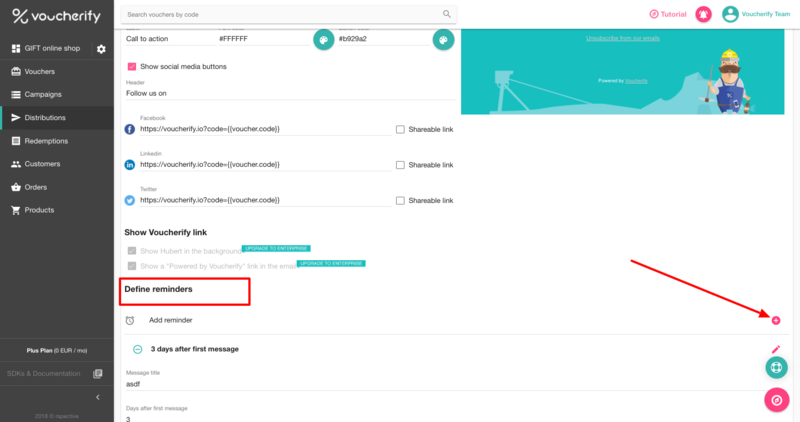 In the case of manual mode, composed emails are sent to the already defined receiver/ customers segment right after the distribution is confirmed. Select distribution purpose. 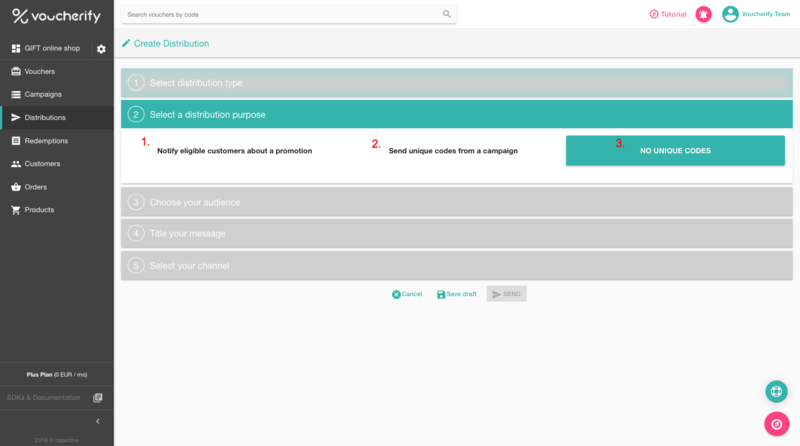 If you choose a message with unique codes, you need to choose a respective campaign from a list of all your existing campaigns. 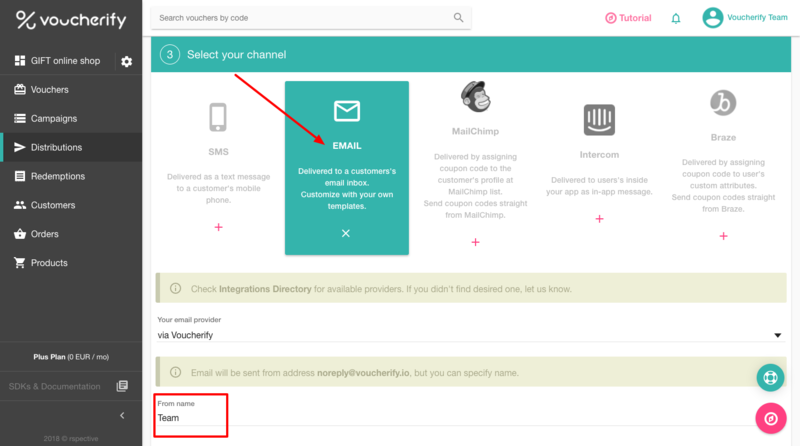 If you want to send emails via Voucherify with your domain, go here to learn how to configure it. Active channel (channels) is marked as green. 2. Customize your message by using a text editor. 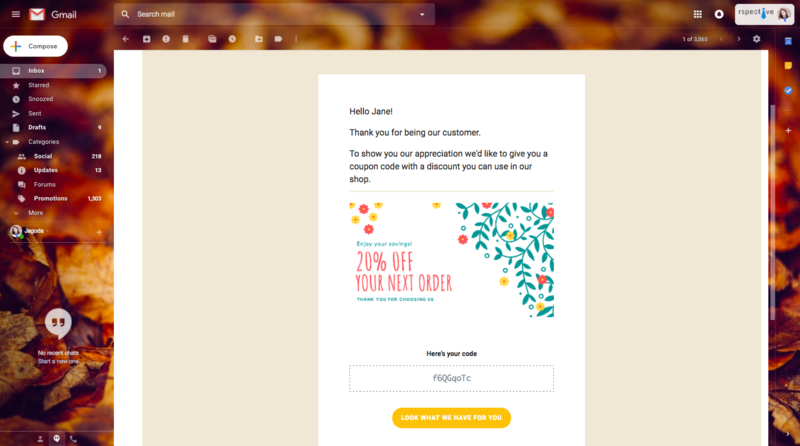 Change the default template to a configurable flyer and design your message. 3. Define reminders (optional). They are sent to remind your customers about unredeemed codes. Likewise, you can use the text editor to customize remind message and additionally specify the time that reminders will be delivered. 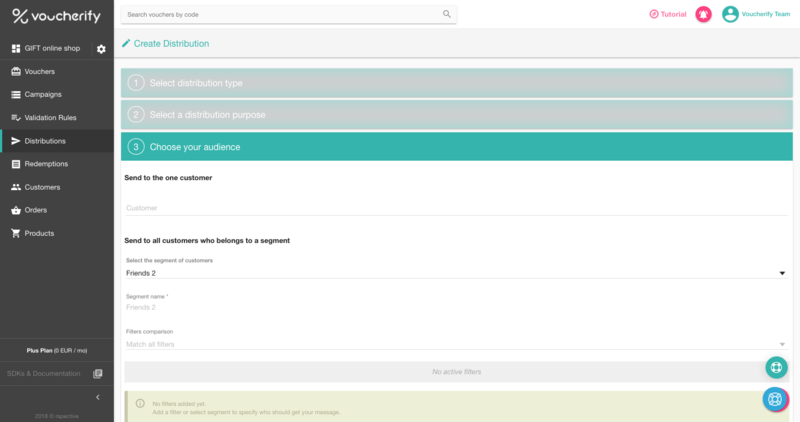 Text editor and merge tags build a personalized template which is sent to your audience once you confirm the distribution with SEND. The purpose of automatic mode is to send an email to a customer as soon as he/she matches segment criteria. 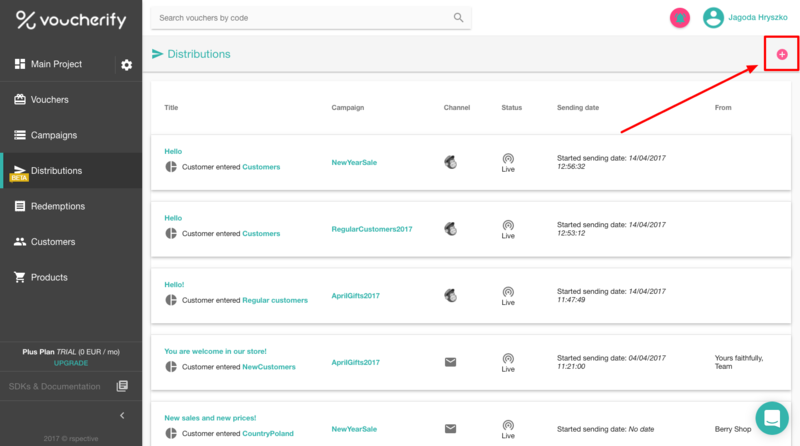 From the moment you confirm the creator, every time a new customer enters the segment, Voucherify sends him the message automatically. In the last step, press SET LIVE and confirm. 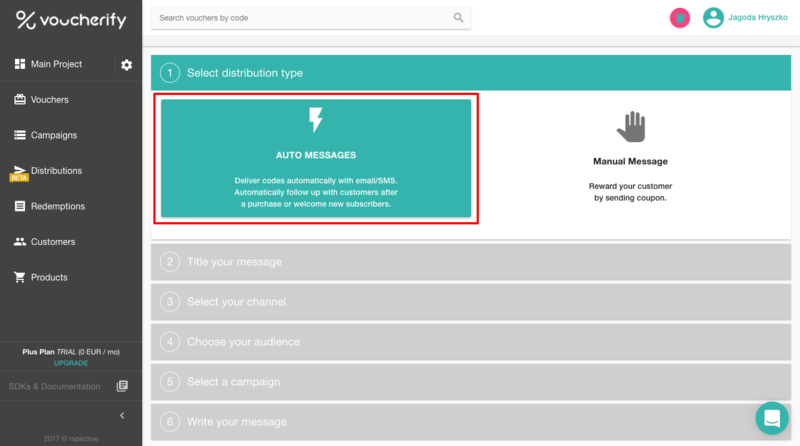 From now on, the distribution starts and emails are sent automatically.